Two years in the making, Aeone delivers a powerful yet, inspiring body of work in her 6th studio album including the title track video release of – Love Is The Healer. Jeff Silverman and Aeone produced and arranged the album. Jeff also mixed, mastered and engineered the project and co-wrote on a number of tracks from Palette Music Studio Productions (MSP) while connecting with Aeone via Palette’s Virtual Studio Nashville (VSN) in Nashville, TN. Aeone recorded from The Chateau, her studio in Los Angeles, CA. Love Is The Healer was created by Aeone and longtime collaborator, veteran producer and songwriter Jeff Silverman, 2000 miles apart in Los Angeles, CA and Nashville, TN. During the entire creative process, including recording, mixing and mastering, Jeff and I used Palette’s VSN virtual studio set up (Virtual Studio Nashville) to communicate. Files were sent back and forth via the internet until the mix/ mastering stage. This process was a continual “passing of the torch.” For the creative process, files were constantly being traded off to each other as we were working on the arrangements. When it came to the mix, Jeff would take the torch and paint his picture. Then send it off to me to listen and comment. Then we both would hook up via VSN, streaming audio directly out of Jeff’s Pro Tools session, screen sharing and talking on the phone while making our final mix /mastering tweaks. 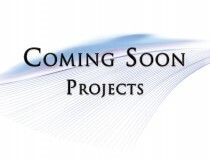 CLICK HERE to stream samples of the songs and read more about the project! This beautifully crafted 10-song album brings Aeone's signature ethereal voice and sound with a touch of the ancient Celt together, in a cinematic blend of otherworldly pop and organic rhythms. Hypnotic and uplifting, the 10 songs follow a path of grace and beauty deep into the heart of love. Aeone weaves her story in a spellbinding tapestry of voice and sound from the romantic poetry of love to the dark ancient longings of the soul - taking us from multi layered vocals and ambient grooves in rich soundscapes with ethnic instruments, down to the single purity of her clear and haunting voice. LOVE IS THE HEALER is an emotional and ambitious body of work that leaves its mark well after the last song ends. Artist and composer Aeone delivers a powerful yet, inspirational body of work in her 6th studio album – LOVE IS THE HEALER. 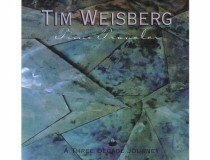 Jeff Silverman and Aeone produced and arranged the album. Jeff also mixed, mastered and engineered the project and co-wrote on a number of tracks from Palette Music Studio Productions (MSP), Mount Juliet / Nashville, TN • www.palettemusic.net. Aeone recorded from The Chateau, her studio in Los Angeles, CA. 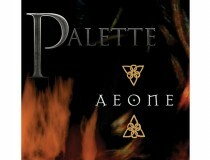 www.aeone.com. Aeone was honored to have Ricky Kej, 2015 Best New Age Album, Grammy award winner, co-write and co-arrange on Boat of Angels with her. 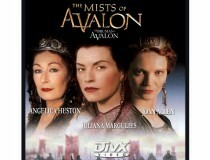 Known for her rich haunting style, Aeone’s voice and music has been heard in countless Film, TV and CD projects and in over seventy movie trailers including “The Hobbit,” “300,” “The Last Samurai,” “Beowulf,” “Tomb Raider,” and “Something’s Gotta Give.” Aeone was also the voice of Emmy nominated “Mists of Avalon” and has released 5 critically acclaimed albums. Debra Lyn’s “Save The Mistletoe For Me” Now Available! 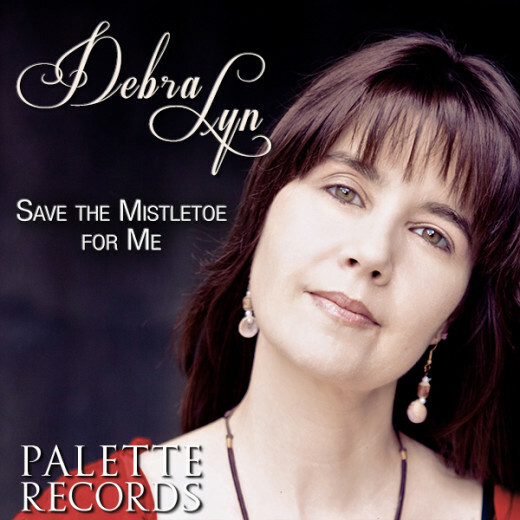 “Save The Mistletoe For Me” was written by Jeff Silverman and Pamela Phillips Oland (www.pamoland.com) Pamela is a 3 time Grammy nominated lyricist who has written songs for Aretha Franklin, Whitney Houston, Frank Sinatra, Reba McIntyre and many others. Featured on this song are Joe Spivey (banjo, mandolin & fiddle) Tim Lorsch (fiddle), Mike Johnson (dobro), Matthew Burgess (percussion) and Jeff Silverman (guitars & bass).